For years I have occasionally popped in on Meg’s blog Elsie Marley – there is a lot of great, real stuff happening over there. I think Meg is one of the most honest bloggers I have come across, posting the hits and the misses, and the not so glamorous truth about making (especially with kids around). 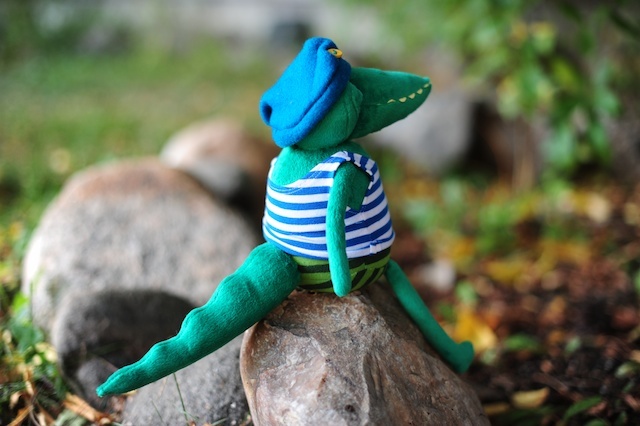 I’ve been working on a few smaller dolls to give myself something new, and I have only made one other crocodile/alligator creature years ago – so even though the words seemed somewhat related, this was a good challenge after all. I had to really think about how I wanted the head shaped and that bumpy tail. 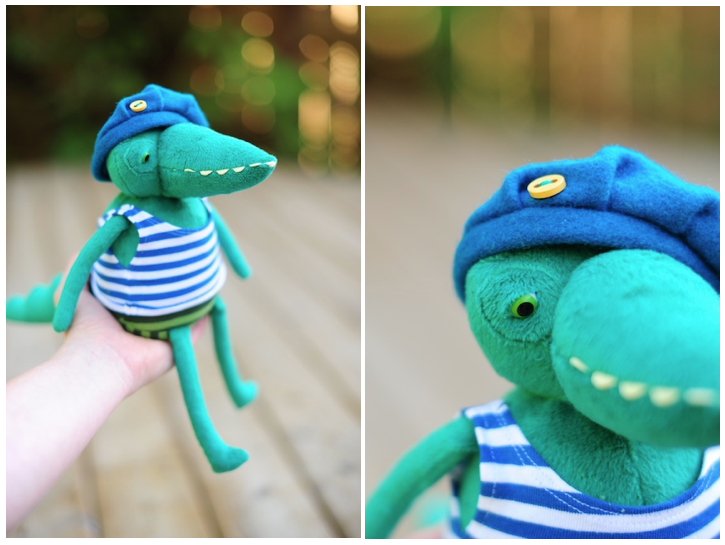 I wanted him to be a jaunty sailor, but the hat turned out a little more like a strange tam, which was just big enough to tip over his one freaky eye! (these reptile eyes are new to me, super freaky) It’s always good to get out of a production head space, and back into a creative one. Thanks for the challenge Meg! 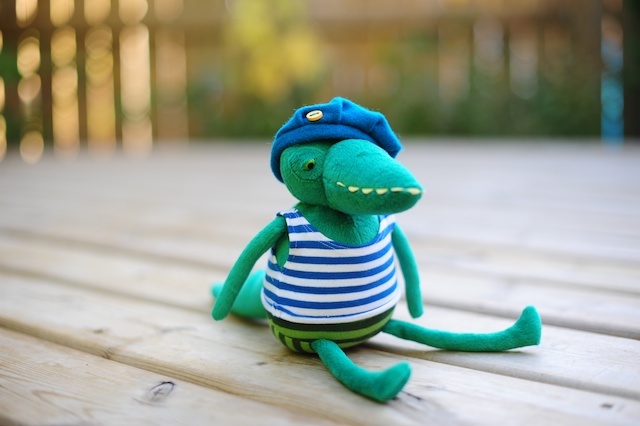 This entry was posted in Plush dolls by Boolah Baguette and tagged alligator, alligator plush, boolah baguette, creative assignment, doll, elsie marley, handmade plush, nautical, sea, twofer. Bookmark the permalink. He’s great! I love his little sailor outfit.